October 30, 2015 by Beeraj Patel, Esq. The following is a list of requirements for registered nurses coming into the United States and looking to apply for Immigrant Visa (Permanent Resident Status). This specifically applies to nurses looking to work in Health care facilities in any occupation except as physicians. Foreign nurses who wish to practice in the United States are required to have some bona fides that will show and prove that they are registered and licensed nurses in their country. They are also required to have some credentials that have been corroborated by a United States commission that proves that they have met the Visa Screen educational, licensure, and the English language proficiency requirements. They also need the licenses that are required by all nurses to practice in the state they wish to move to. Another pre-requisite is an official letter of a job offer from a hospital or health care facility in the United States that is financially stable that have shown volition to file for an Immigrant visa petition with the USCIS on behalf of the applicant. It is paramount that the applicant possesses a legal license to practice from their country that shows that they have met the conditions required for them to practice nursing. One important factor that will be considered will be the academic qualifications. The education system works differently in different countries. For some countries, their universities offer the full term five year Bachelor of Science degrees for students undertaking the nursing course. In other universities in other countries, the nursing students are presented with their Bachelor’s degree after completing their course that is usually between two to three years. Other countries offer diploma courses to their nurses after they have completed a study program offered by different hospitals within the country. The mode of study will not in any way pose a challenge to the applicant as long as they have a legal license from the country where they studied. 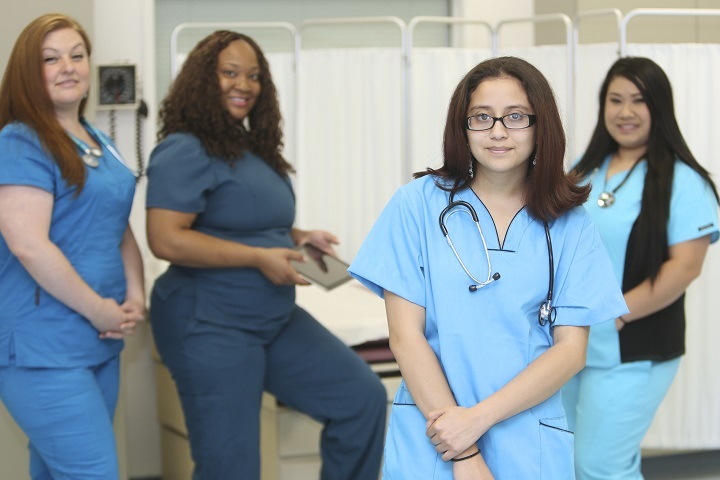 There are some applicants who find it better to come to the United States and complete the two-year study program than go through the full term nursing course offered in their countries. It is important that any nurse seeking to practice in the United States attain a Commission on Graduates of Foreign Nursing Schools certificate that is referred to as the CGFNS certificate. However, this is not the only document they can use. If they don’t have the CGFNS certificate, they can apply for a full unrestricted license that can allow them to practice nursing in the state they wish to be employed. This license is referred to as NCLEX. Any applicant who wishes to apply for the CGFNS certificate must go through a three-stage process. In the first stage, the applicant’s credentials are reviewed for verification. After verification, the applicant proceeds to the next stage. In the second stage, the applicant sits for a one-day exam to assess their knowledge of nursing. If the applicant passes, they proceed to the third step where they sit for an English language proficiency exam. If the applicant completes these three stages successfully, they are awarded the CGFNS certificate. It is, however, important to note that there are some states that will require foreign nurses to have acquired a CGFNS certificate by the state’s nursing education board before they can be allowed to sit for the NCLEX examination. All nurses seeking to apply to practice professional nursing in the United States should know that before an immigrant visa is granted and before the Adjustment of Status is granted, they must have obtained a VisaScreen certificate or a certified statement from the International Commission on Healthcare Profession (ICHP) which is a prerequisite for the CGFNS. This screening is important as it enables foreign healthcare professionals seeking to practice in the United States comply with the minimum requirements provided by the government. The issuing period of the VisaScreen certificates varies from time to time. Some will get them as soon as possible while others will wait for quite some time before they get the certificate. Therefore, it is advisable that one proceeds with the application as soon as the I-140 has been filed with the USCIS. The VisaScreen certificate is a very important document. When the applicant has been cleared by the U.S. immigration department, they will be required to present the VisaScreen certificate at their final visa interview at the consulate. Applicants can also present the certificate to the consular office when they are seeking to adjust their status. It can also be presented to the Office of the Attorney General as a prerequisite for the application of a visa. The purpose of this review is to ascertain that the education the applicant received meets all regulatory and statutory requirements applicable to the profession they intend to pursue. The education must also correspond to that which a U.S graduate seeking to be licensed received in the same profession. Successfully achieved a minimum number of credit hours during their program in clinical and specific theoretical areas. Graduated from at least a 2-year health care program approved by the government. Completed a senior secondary school education that is not linked to the professional education. This review assesses all past and current licenses. The institution issuing the license provides validations directly to ICHP to confirm the applicant’s completion of all practice requirements as well as the absence of preventives during the licensure process. IELTS: 6.5 overall with a spoken band score of 7.0. Those that received their instruction in the English Language. Those that used English textbooks during their studies. Those who received professional education from countries such as Canada (except Quebec), the United States, Australia, the United Kingdom, New Zealand or Ireland. Countries not specified individually do not qualify for this exemption. When filing an Immigration Visa Petition one is not required to have Labor Certification approval since by the classification of the U.S. Department of Labor (DOL) “registered nurse is a Schedule A occupation. Step one of the immigration process involves filing and approval of an Immigrant Visa Petition (I-140) with a copy of ETA 9089 directly with the USCIS Service Center having jurisdiction over the place of employment. Copies of any and all in-house media, whether electronic or print, per the normal procedures used for the recruitment of positions similar to the position specified in the Form 9089 in the employer’s organization. The petitioner is required to present proof of their ability to pay the wage. This proof may be in the form of an official letter from a financial manager of an employer with 100 or more employees. Alternatively, the petitioner may provide copies of annual reports, federal tax returns, or audited financial statements where there are less than 100 employees). The registered nurse, who is the beneficiary, in this case, ought to have a full, unrestricted and permanent license allowing him/her to practice nursing in the specific state they intend to be employed. Alternatively, the beneficiary may submit a CGFNS certificate from the Commission on Graduates of Foreign Nursing Schools. Where the above two are unavailable, evidence that he/she has passed the National Council Licensure Examination for Registered Nurses (NCLEX-RN), administered by the National Council of State Boards of Nursing may be presented. For the I-140 petition to be filed successfully, the job posting notice must have been posted and removed at least 30 days before the filing of the petition. For applicants already in the United States, Consular Processing (CP) or Adjustment of Status will serve their application needs. Both processes have advantages and disadvantages that must be taken into account when selecting which to use. Click here for more information on Adjustment of Status. However, applicants outside the United States must pass through the CP. The Consular Processing involves a short interview at the U.S consulate in the applicant’s home country. This interview often completed 6 to 9 months before the date when the I-140 petition is received at the USCIS as explained in the Visa Bulletin. It is important to note that this second step can only be done if the cut-off dates for the applicant’s (or their spouse’s) country of birth for the specific category the applicant is filing a petition are current or have reached the applicant’s priority date. Many of the above cases may qualify under employment third preference category. Current dates are up on our website and can be reviewed through the Visa link provided. The dates explained in the Visa Bulletin under the employment-based third preference category can be reviewed for the country the applicant or his/her spouse was born. You may also read the Visa Bulletin further to understand the concept of Priority Dates. We are looking forward to offering you clarification or further information where necessary.